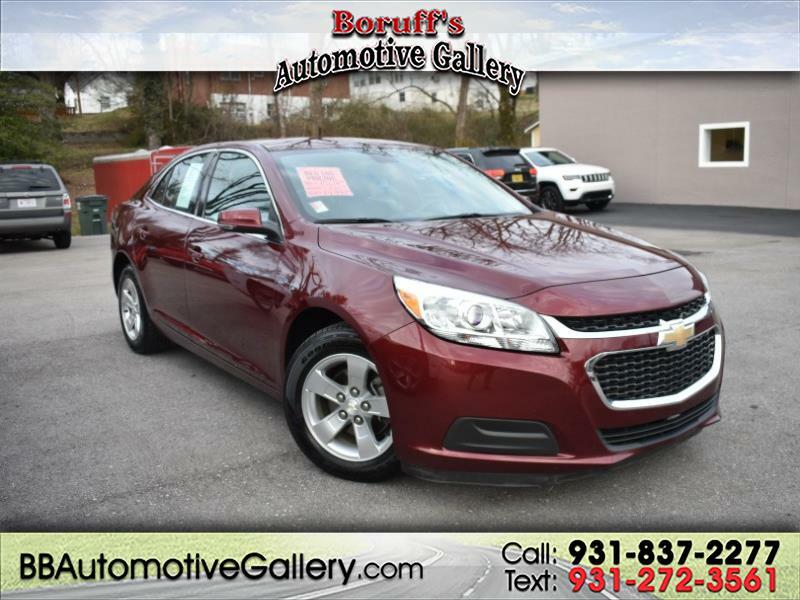 Take a look at this incredibly nice 2015 Chevrolet Malibu LT now available at Boruff's Automotive Gallery in Sparta, TN! This Malibu is equipped with a fuel efficient 2.5L engine and a smooth shifting automatic transmission. Plus, it has numerous great features like leather trimmed seats, steering wheel mounted controls, XM Satellite radio, power windows and locks, and more! Stop by today and take this Chevrolet Malibu for a test drive and experience the way car buying should be, the Bill Boruff Way!